Doc OG, aka The Doctor, is well known for its many medical uses. To find out more about Doc OG, click the image or title. Kosher Kush was actually blessed by a Rabii, and yes, you read that correctly. It has won 2 Cannabis Cup titles, even being awarded best strain in 2011. To find out more about Kosher Kush, click the image or title. 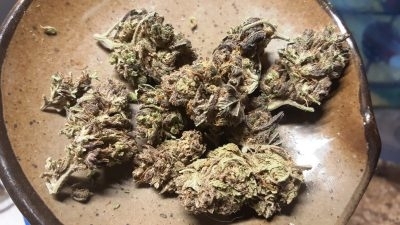 Grape Ape smells and tastes just the way it sounds like it would. To find out more about Grape Ape, click the image or title. God Bud's rise to glory came from the Great White North, where BC Bud Depot hatched this lovely vessel. To find out more about God Bud, click the image or title. Spec Ops is a heavy Indica with high THC levels to keep your head in the clouds while your body rests calmly on the couch. To learn more about Spec Ops, click the title or image.